When your iPad stops working, or it just isn’t performing up to par, it’s time to start looking at your options for iPad repair services. 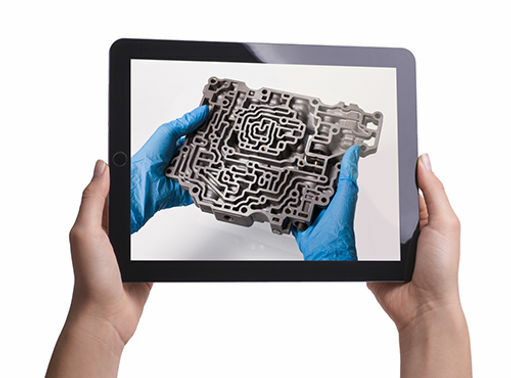 The average person doesn’t understand the technology behind their iPad well enough to diagnose some of the most common problems experienced by iPad users. All you know is that whatever you normally like to do on your tablet suddenly isn’t work right anymore. Of course, the reasons for some types of damage aren’t hard to determine at all. 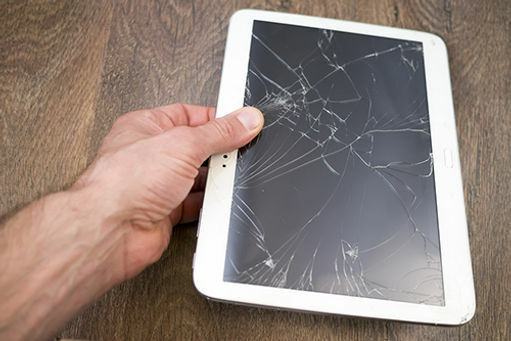 If your iPad slipped out of your hand, there’s a good chance you have a broken screen. Maybe you dropped it into the water, and now it won’t do anything. So, how much can you expect to accomplish with an iPad repair and when is too much just too much? Can I Replace My iPad Screen? Yes, but a better question is should you. There’s only one reason that you would consider doing the job yourself, and that’s to save money. Plenty of people have learned too late that replacing a damaged iPad screen is more difficult than it sounds. You can find a replacement kit online with the glass to replace the screen and not the entire touchscreen. Replacing just the glass is even more difficult than replacing the entire screen. Suffice to say that there is gluing involved and working in small spaces with parts that you don’t recognize. If you are still tempted to try to fix it yourself, look at the kits available and see which one has the components you need. If that doesn’t discourage you, then you may have the skills you need to pull it off. The warranty on your iPad doesn’t cover accidental damage. If you have AppleCare, you have coverage for two incidents. In addition to the $99 charge for AppleCare, you still have to pay a $49 service fee. Once you “use up” the coverage, you have to pay the full amount. Depending on the model, the cost can range from $199 to $599. If you thought getting your iPhone screen repaired was expensive, it dulls in comparison with the cost of replacing an iPad screen. Without AppleCare, a new screen will cost as much as a refurbished iPad to replace the entire device. Another option is to take your device to a local electronics store that specializes in repairing Apple products. Those areas that have Apple stores often find themselves facing long wait times and high fees. Many iPad users don’t have an Apple store locally, and they have to drive for hours to get to the closest one. You can mail the tablet to Apple and then wait for the repair and return by mail. It’s possible to get better and faster service from a small business than from a chain store that follows the same policies from one location to the next. What Is Covered Under My 1-Year Apple Warranty? The first thing you need to know about your warranty is that if you didn’t purchase your iPad through one of their stores, directly from the company, or an authorized Apple retail store, they won’t acknowledge the warranty at all. The good news is that you can still take advantage of the warranty if you bought it secondhand from a person who originally bought it from an approved resource. The Apple warranty covers defects in materials or workmanship as long as you follow the company’s guidelines and use the device under normal conditions. This includes the device and accessories such as the battery, home button, display, and the sleep/wake button. Dropping your iPad or knocking it into the pool falls under the heading of accidental damage. Other things that aren’t covered include damage to the faceplate, dents, and scratches anywhere on the device, or submerging the device in water. If you make any modifications, you must have written permission from the company, or it invalidates the warranty. Also, service offered by another company other than Apple isn’t covered. How Much Will It Cost to Get My iPad Repaired? There are so many ways that we punish our devices and the types of damage that results. There is no single answer that covers every type of repair or even the type of iPad you have. Old generation, new generation, and iPad minis all come with different features and price tags. For example, the iPad Mini beginning with the second generation features Retina Display that the original model lacks. Cracked or broken screens are probably the most common types of iPod repair. The fact that we use devices to search the web, email and share social media posts, share photos, play games, listen to music, watch videos, and even more means that they go with us almost everywhere. That includes environments where they can easily get knocked off, dropped, or exposed to water. Their vulnerability makes it too easy to cause damage that needs to be repaired to make them usable again. The difference between iPhones and iPods is that it is a much finer line between when you should consider repairs vs. replacements with the tablets. Sometimes the cost of repairing a device is nearly that of buying a new one. Regardless of the type of damage your iPad has, you should always compare the difference between repairs and replacement to determine the best value. Why Isn’t My Tablet Holding a Charge? The average life of an iPad battery is between two and three years, regardless of how often you charge it. Instead of just going dead all at once, the battery will decline in how well it holds a charge. There are apps you can use to determine the health of your iPad battery, so you know when it’s time to replace it. Sometimes an iPad just doesn’t switch on. The battery seems like the most obvious problem, but there are other possibilities. Some common causes include a damaged display, malfunctioning logic board, or just accidentally having the hold switch on. The tablet could require a different type of iPad repair altogether, and the battery is just fine. 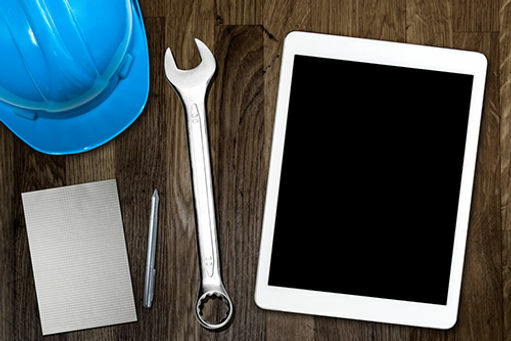 You can find lots of tips on how to troubleshoot your iPad online, but a number of them are not advisable as DIY fixes. Instead, take your tablet to a trusted repair service. They can tell you the problem, your options for fixing it, and how much it will cost. Try restarting your iPad and plug it back in to see if it helps the problem. Sometimes that’s all it takes, and you can save the cost of an iPad repair and a new battery. Apple designed the iPad battery to maintain 80% of its capacity after 500 charges. If yours falls short of that, you should start considering your options. As mentioned previously, the 1-year Apple warranty covers the cost of a new battery for the first year. Since most batteries last much longer than that, you probably aren’t covered. The only other option is if you purchased AppleCare for two years of extended coverage. If your device is under warranty, you should either let Apple fix it for free or take it to a third party repair store that specializes in Apple devices. If you attempt to replace the battery yourself, it will void your warranty. That means if there is another problem other than the battery, Apple won’t pay for the repair or replacement. If your iPad is no longer under warranty, replacing your battery is an option. Before you spend the money on a new battery, compare the price to that of a new or refurbished device. Many people choose to spend a little more and get a new device instead of paying the price of a high-cost battery. Just how affordable a new battery for your device depends on the model. While the number of times you charge the tablet doesn’t cause the battery to die sooner, there are some things you can do to help slow down the process. Keep the iPad Out of the Heat – No matter how much you enjoy sitting by the pool while you play games or chat with your friends, the heat is no place for your device. Keep it in the shade where temperatures are below 95° F. Anything warmer than that has the potential to damage the battery permanently. Charge It Before Placing It in Storage – Whether your interests have changed to a new device or you don’t need your iPad for a while, don’t put it into storage without charging it. The battery needs to have a charge of 50% when you turn it off and put away. If it stays in storage, repeat the charge every six months. Remove the Case Before Charging – The same case that helps protect your device from damage is also very effective at holding heat inside. Taking the case off during charging will help keep it cool and prevent damage from overheating. These simple-tofollow tips can make a big difference in the life of your iPad battery and how soon you have to decide among repairing, replacing, or buying new. Nothing is more of a bummer than losing the sound on your iPad when listening to iTunes is your favorite thing to do. The best way to determine if there is a real problem with the audio is when it doesn’t work with headphones or on speaker. Most often, a faulty audio jack is to blame. This is a fast and easy iPad repair at the repair shop. Does My iPad Need to Be Repaired If It Keeps Freezing Up? Not necessarily. Sometimes there is a simple reason, like trying to access to multiple libraries at one time. The most common solution is to perform a rest to reboot the tablet. This process shouldn’t cause any loss of data. If this doesn’t work or if data disappears, then there may be something else going on. A professional iPad repair service can check the tablet to see if there is any damage. Is a Wet iPad Repairable? Tablets and cell phones get dropped into pools, off of counters into the sink, and even in toilets all the time. If your iPad falls into water, don’t try to turn it on until you remove all the moisture. To get the water out of the iPad, completely cover it with dry rice. Leave it there for at least 24-hours, so the rice has time to absorb all the water from the iPad. Once you are sure the tablet is completely dry, power it on. If it won’t power on or it isn’t working correctly, take it to the repair shop. Find out how much the damage will cost before you decide to have the tablet repaired or replace it with a new or refurbished device. Where Should I Go to Get My iPad Repaired? The only time that taking your iPad to the Apple Store is under the conditions stated above. When you have to pay the full cost of the repair, a third-party shop is your best alternative. You need to make your choice carefully based on reviews and the shop’s expertise at repairing Apple devices. Experience is one of the most important features to look for in a repair service. Also, look for a shop that offers fast service and doesn’t require you to wait weeks while they wait to get to your request. Customer reviews will tell you how honest the repair shop is and whether you can expect to be happy with the cost and quality of the repair they make. Getting your device back in working order quickly depends on finding the right service for the job. San Diego Tech Experts has been in business since 2010, and we have repaired more than 10,000 devices during that time. Our customers consistently give us high ratings for customer service. Our repair team is dedicated to providing you with the quick, comprehensive iPad repair services you need, so your device is back in your hands in no time. Contact us today!